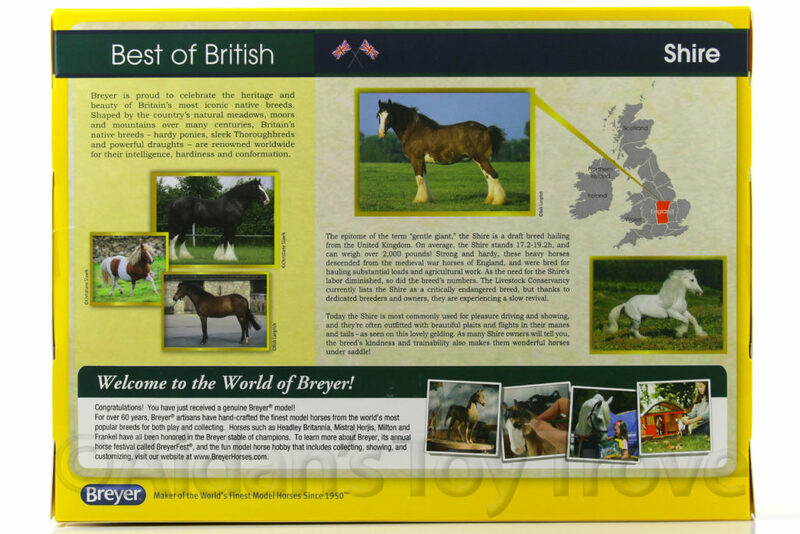 For sale is a Traditional Scale New In Box (NIB) Breyer Shire 1793. He’s listed as a Gentle Giant and is on the Shire Gelding Mold. He is painted a pretty white grey. Here’s what Breyer has to say about him. The Shire is a draft breed hailing from the United Kingdom that was bred for hauling and agricultural work. On average, the Shire stands 17.2-19.2h, and can weigh over 2,000 pounds! The Livestock Conservancy currently lists the Shire as a critically endangered breed. 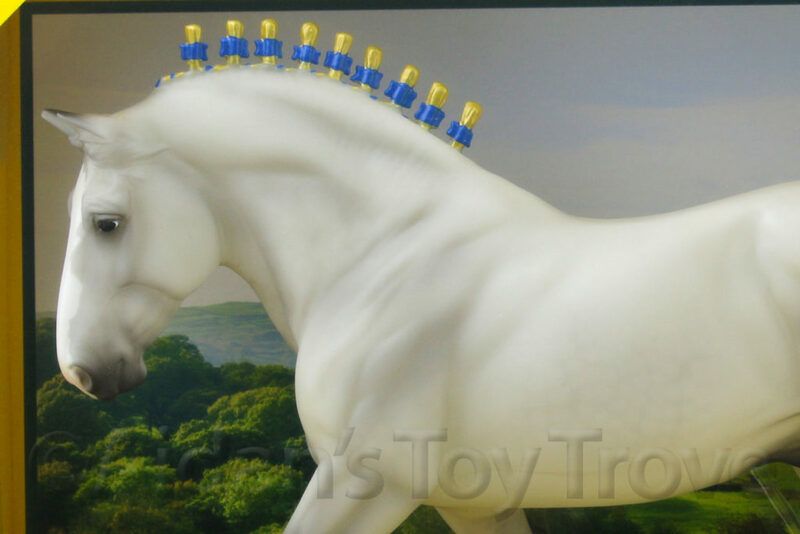 Today the Shire is commonly used for pleasure driving and showing, and they’re often outfitted with beautiful plaits and flights in their manes and tails. 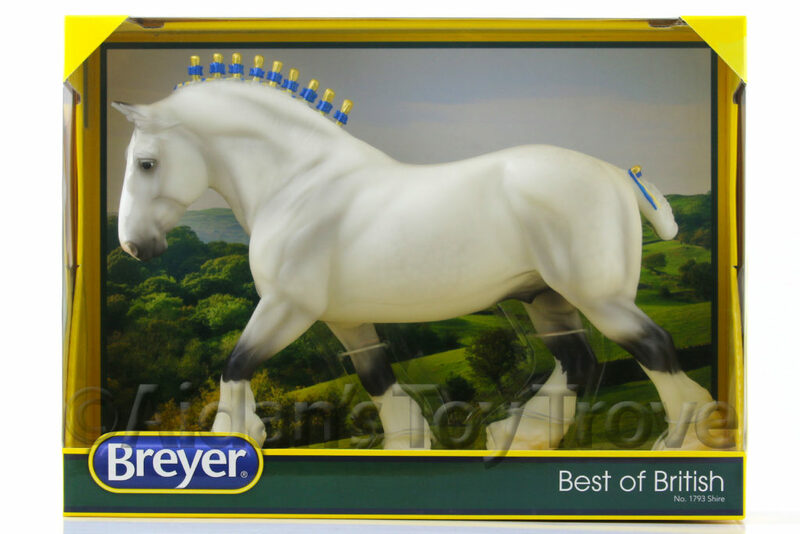 Breyer Shire 1793 is still sealed and tied in the original box. The box may have normal wear. I noted no flaws on the horse. He may have typical factory flaws. I cannot guarantee the condition of the boxed side. Please note that I have multiples of this model. You may not receive the exact horse pictured. 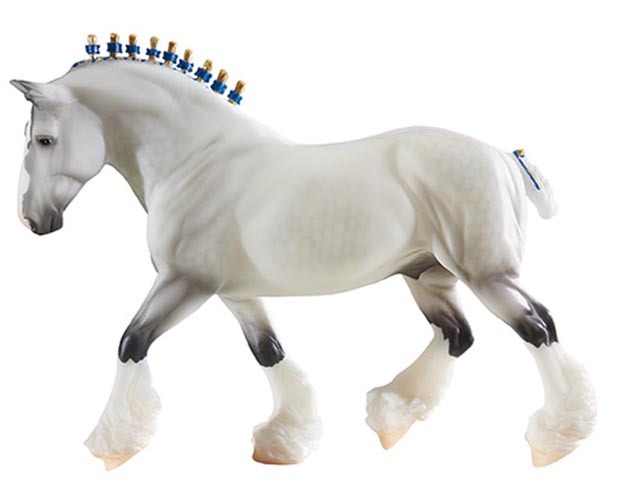 You will receive a brand new in box (NIB) Breyer Shire 1793.